When hiring a trade show magician in the UK, the most important thing is to make sure you book a professional. An amateur or part-time magician maybe able to perform amazing magic but there is a lot more to it than that. For example, will the magician you hire show up on time? Will he or she be smartly presented and work hard to make contact with every booth visitor? Will your magician have the experience to cope with last minute changes? Remember the trade show magician in the UK you choose will reflect on you. In the same way, a professional magician whose livelihood depends on performing regularly will look after all the small details because it reflects on him or her -- and the prospects of getting more work. Check that the magician has a good website and printed promotional materials. These days, magicians often rely on the internet to provide information to prospective clients because it is so easy to keep a website up to date. Many also have videos or DVDs and printed materials. Of course, this doesn't make them a great trade show magician in the UK; but, it does indicate professionalism. Check that the magician is a member of magic societies such as the Magic Circle and the International Brotherhood of Magicians. These societies require magicians to be serious and accomplished performers before they are allowed membership. Another good sign is if he or she is a member of an organization like Equity, the UK performers union or similar professional body. Check the magician's list of clients, engagements, testimonial, and recommendation letters. A professional trade show magician in the UK should be able to provide details of past clients and engagements -- if they can't something is wrong. The types of events they have been involved with will indicate if they are the right magician for you. The letters and quotes can be helpful, although it is unlikely that any bad quotes will find their way into someone's promotional materials. However, the number and quality of the quotes should give you an idea of how well received a performer is. Always call and check references before a hiring decision. Promotional materials and information about past clients and engagements should give you a pretty good idea what they are like, but a phone call is the best way. Have a chat with clients and ask about reliability, performance style and what types of effects the magician performs. If you like what you hear, it's a good sign. Whenever feasible, try to see an actual performance at another trade show, event, club or corporate function. Check that the trade show magician in the UK has public liability insurance. This is very important. The magician may be closely interacting with your trade show booth visitors, perhaps borrowing objects from them, and a professional will be covered for any accidents that may happen. Often the main factor when deciding which magician to choose is price. Fees for a professional trade show magician in the UK vary a lot because they depend on many factors such as the date and time of the event, how well known the magician is, what type of magic you want them to perform, how long you want them, etc. As with most other services and products, you get what you pay for. Good magical entertainment is not something that you can get cheaply. If you are shopping around and inquiring with many magicians, going with the cheapest may not be the best option. When negotiating the fee, it can be a good idea to be up front and state what the available budget is. This could save both you and the magician a lot of time. If one trade show magician in the UK is too expensive or is not available, he or she may be able to suggest another magician or entertainer for your event. The professional’s opinion is worthwhile, since he or she should be well aware how good other magicians are and suggesting someone unprofessional would reflect badly on his or her reputation. Finally, remember to check whether the fee you negotiate is fully inclusive and that there are no hidden extras. Dan Gifford is a UK Magician and UK Entertainer specializing in corporate entertainment. Dan performs close-up magic throughout the UK at parties, weddings, corporate events and trade shows. For more information about magic and UK magicians visit www.magician-entertainer.co.uk. 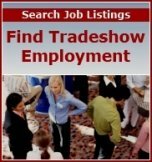 Trade Show Advisor HOME › Trade Show Magicians › Hiring Magicians in the U.K.